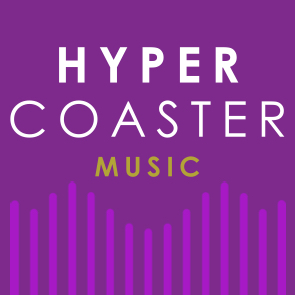 Based in the Tayside/Angus region on the east coast of Scotland, Hypercoaster Music was set up by Andy and Natasha Spiller to promote quality live acoustic music. "We organise events which showcase unique and inspiring artists in superb intimate venues. Although we sometimes put on shows for 'big names' we are particularly keen to present some of the incredibly talented independant acts". Previous shows have featured: Brooks Williams, Shamblestone, Norrie McCulloch, Lisa Rigby, Nora Germain, Rob Luft, Peter Bruntnell Trio, King Curly, Two Thieves & The Burning Wood, Rebecca Sharp, The Jellyman's Daughter, Vera Van Heeringen Trio, Joe Arrow, The John Langan Band, Josh Harty, Nick Harper, Tim McMillan & Rachel Snow, Sesar & Halliday, Julia Hornung, Glenn Tilbrook, Merz, The Woods, Jon Gomm, Kelley McRae & Matt Castelein, Esperi, The Coaltown Daisies, Melanie Horsnell, Laurent Delahaye, Erin Scott, Charly Houston, Mark Thomson, Nine Below Zero Acoustic Duo: Dennis Greaves & Mark Feltham, Wishy, Stephen Watt, Andy Spiller, Emil Thompson, The Yonderlees, Mark Hunter, Gary Anderson, Karen Harper, Calum Campbell and Jim Reid.